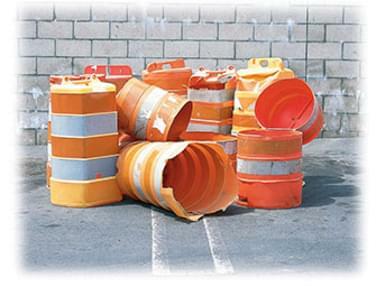 Is your jobsite or storage yard filled with torn, broken, faded or otherwise unusable drums? 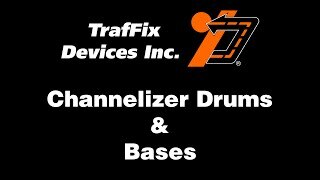 Since 1987, TrafFix Devices, Inc. has been providing their customers with the most value for their channelizer drum dollars. The drum tops and bases we made in 1987 are still interchangeable with our current production model. At TrafFix Devices, we use only the highest grade plastic resins to manufacture our drums. Our drum tops and bases are designed to "break-away" rather than "break-apart" upon impact. 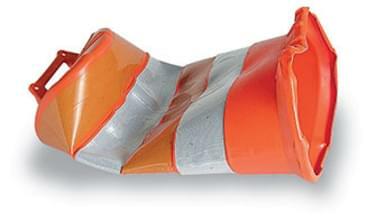 Over 50% of the cost of a Channelizer Drum is in the high performance reflective stripes! Here is a TrafFix Devices drum top that has been impacted and appears crushed and unusable. Notice that it is not torn or broken but simply "flattened out." With most other manufacturers' products, this top would be added to the "drum graveyard" pictured above. TrafFix Devices uses only top quality plastic resins and has engineered its' drums to be reshaped after most impacts. By applying simple hand pressure to the dented areas, most drums can be reshaped into their original form and reused. The previously crushed drum has been snap-locked to its base and is ready to be put back on the job. 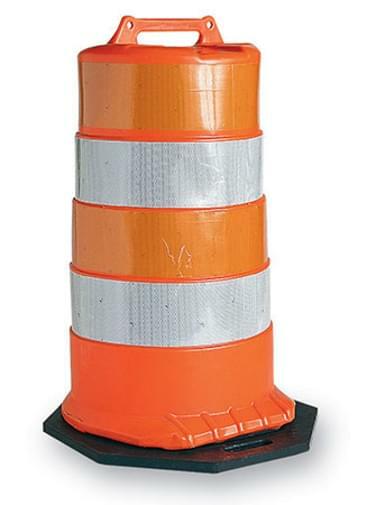 Remember, every channelizer drum that you can salvage and reuse saves your money and keeps it out of landfills. 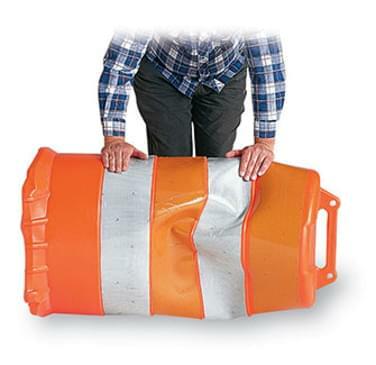 The TrafFix Channelizer Drums are available in rugged, durable high density polyethylene; or impact resistant, reshapeable low density polyethylene. 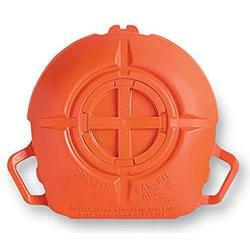 Economical and easy to use - simply place the base on the ground, add a sand bag and snap - lock the drum top to the base. 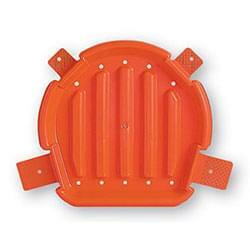 Made of durable, impact resistant polyethylene. San-Fil bases are designed to hold approximately 50 pounds of sand. The twist lock cover keeps the sand inside the base. Two carrying handles make movement and placement an easy job. TrafFix 100% recycled rubber base is the "sandless" way to ballast channelizer drums. 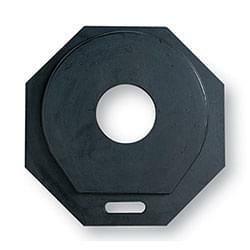 Rubber bases come in 25 and 40 pound weights with two convenient carrying methods. 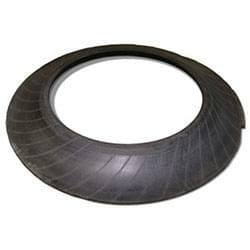 The TrafFix Devices Tire Ring Base is made from truck tire sidewall sections. It's economical and easy to use and provides all the ballast you'll need to hold a drum in place. * Test and evaluation results are available from AASHTO's (American Association of State Highway and Transportation Officials) national transportation product evaluation program (NTPEP) director. Products were field tested and evaluated by NTPEP as described in the work plan for temporary traffic control devices. NTPEP is supported by the 52 AASHTO member departments.